Following an informative safety briefing, it was time to inflate the balloons which were sprawled lifeless on the grass. This was especially impressive at Bagan where, as if on cue, and with an enormous roar, 21 burners simultaneously came to life like fire-breathing dragons, illuminating the still-dark morning. Balloons swelled with hot air all around, making for an impressive panorama everywhere. From the basket, the burner was deafening, and the heat hits you like a wave when you open the oven. Smiling Burmese ground crew weighted the basket from outside keeping us grounded, until suddenly they all jumped back. Instantly, the ground fell away beneath us and we began to rise.  Bagan, once the capital of a wealthy empire, boasts thousands of religious monuments on its plains. Witnessing the sheer number and the impressive architectural remains of these stupas, temples, and monasteries is one of the biggest attraction of riding a hot air balloon in Bagan. In the cool early morning thick clouds of fog roll in from the nearby Irrawaddy River, weaving itself between the ruins. The sun rises from the east beside the silhouette of distant hills, casting the scene below in a tranquil golden hue. The balloon on this flight tends to stay relatively low, reaching a high of only about 1,000 feet; it is close enough to absorb the fine details in the temples which appear close enough for you to lean out and touch them. The pilot expertly rotates the balloon throughout the flight, ensuring everyone has the same view wherever they are positioned. This, combined with the slow pace of the balloon gliding in the wind, offers a perfect pace from which to absorb the ever-changing scene below, revolving as if on a conveyor belt. The view shifts every few seconds with new temples appearing and others fading away. The other spectacle to witness at Bagan is the number of other balloons in the sky alongside you. Some balloons were close, appearing to be massive, while others were distant and seemed tiny. Some were high in the sky, watching everything unfold below them, while others appeared to be brushing the tops of the temples. Every balloon had its own pace and trajectory. This ensures each flight is a unique and unpredictable adventure, and even the pilot cannot say exactly where we will land, or which way we will go. After just over an hour, we began to come down to land. Safely back down, welcomed by the smiling ground crew, flutes of champagne were passed around, and we were toasting with the pilot to a flight experience that none of us will forget anytime soon.